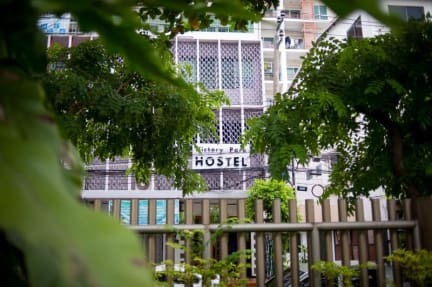 Victory Park Hostel is a very cosy hostel right beside Santiphap Park and very close to Victory Monument. 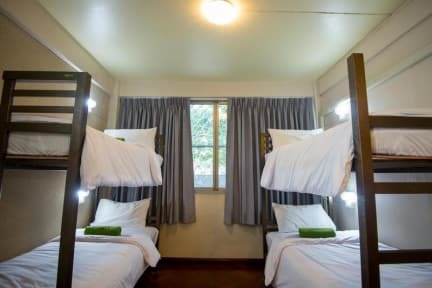 The hostel is conveniently located in Bangkok city centre where is surrounded by shops and restaurants. We are right next to a park. So you can feel relax anytime you want. You can walk to BTS or a skytrain station easily with no more than 10 minutes. All units at the hostel are fitted with a seating area. All rooms include air conditioning, and some rooms are equipped with a balcony. An American breakfast can be enjoyed in the breakfast area.